So you got an invitation to a summer wedding and puzzling over what to wear? Don’t worry, we are here to help you! First of all, find out the style of the wedding – if it’s formal, informal, boho, beach or else. When you find out if there’s a dress code or not, what style the event is going to have, you can choose from various options I’ve prepared for you! 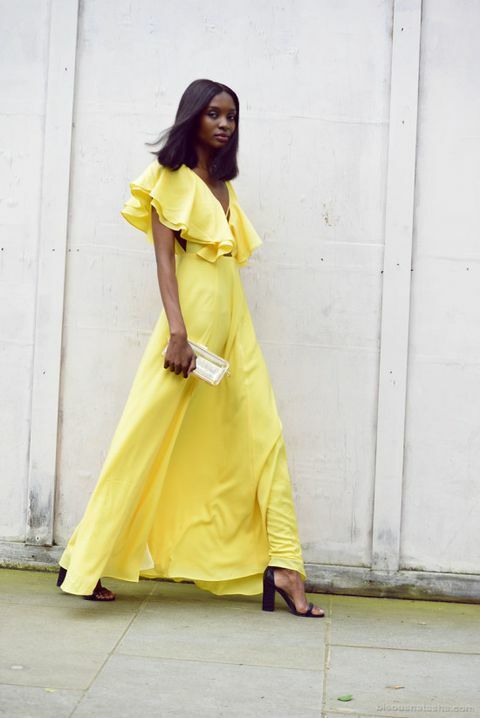 A maxi dress is always a win-win idea: it’s comfy, chic and fits a lot of occasions, from casual to formal events, everything depends on the style of your dress. For a summer wedding we recommend something bold to make a statement: green, sunny yellow, cobalt blue, fuchsia and so on, the shade is totally up to you. Another great summer idea is to rock a gorgeous floral maxi dress, this is a piece that will make you super feminine at once. Add a pair of cool ankle strap heels and a clutch – and voila, you are stunning! A midi dress is a very elegant option for every girl, it’s often comfier to wear than a maxi one. Choose some bold shade like fuchsia or orange, or on the contrary – go pastels with a mint or blush dress. It may be a fitting blush lace gown or a loose pleated dress with beading – it’s all up to you and your style. A trendy option is an off the shoulder midi dress, which looks very refined and chic in any color and with any print. A knee, over the knee or a mini dress is a great option for a summer wedding, too. It may be of a statement cool color like hot pink or neon yellow, with a floral or botanical print, of lace and so on – all of that is up to you. A cool floral or just bold skirt can be easily styled for a summer wedding. Wear it with a neutral or black top and some gorgeous heels, and add cool accessories, and voila – your summer wedding outfit is ready!